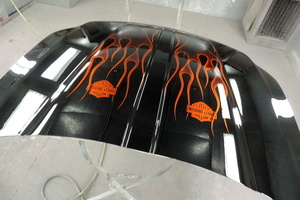 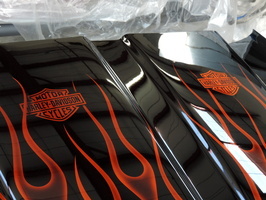 We painted this hood black and added custom ghost flames candy tangerine with flamelicks going over and under a couple of H-D bar & shields. 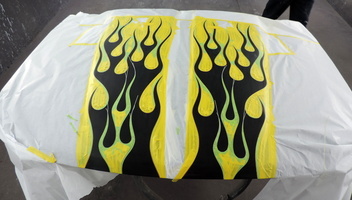 Drop shadows really give the flames the 3D look. 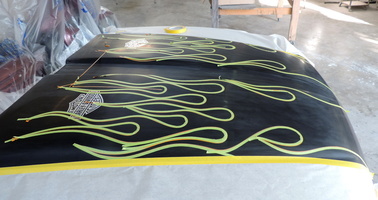 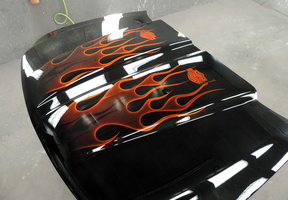 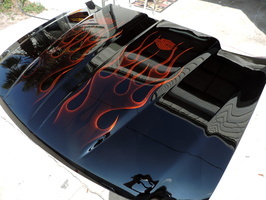 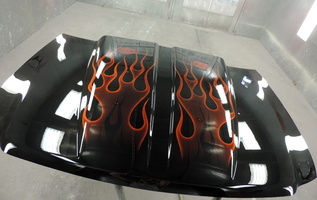 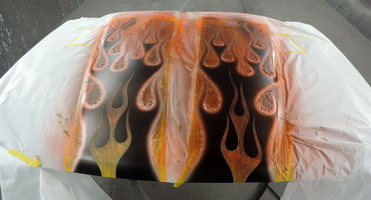 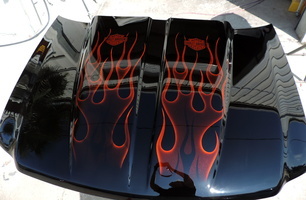 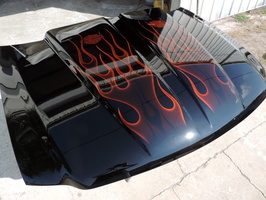 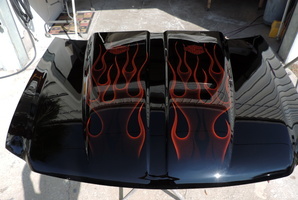 Also faded the front from black into the flames and we even added a couple of black flames. 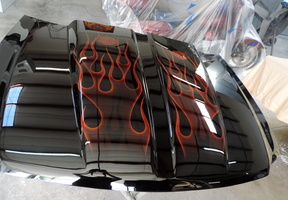 Paint job came out beautiful! 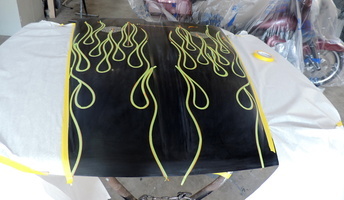 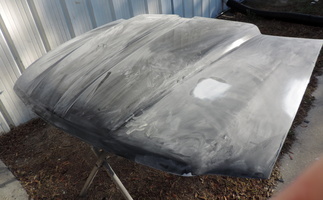 The pics show most of the steps of the process.